Research has shown that when it comes to how people behave when purchasing radically new technology, their decision is often rational and based on weighing the cost versus the benefit of having that new piece of technology. But Tripat Gill, associate professor in Marketing at Wilfrid Laurier University's Lazaridis School of Business and Economics and Canada Research Chair in Market Insight and Innovation, thinks something else is at play when it comes to consumer adoption of innovative technologies. In some instances, the existing rational process model of consumer adoption is true. But in other cases, even when the consumers see the benefits versus costs as favourable, they still don’t adopt a product. Gill believes emotions may be involved, and is looking to study their role in the adoption of technological innovations that are radical and disruptive. Specifically, he will research why electric cars haven’t taken off and the barriers to adopting self-driving cars. 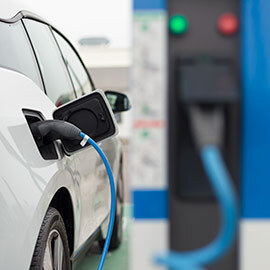 Surveys have also shown that people are largely in favour of electric cars and would consider buying one, but their behavior reflects differently. Gill plans to develop a model that accounts for this intangible emotional drive that influences consumer adoption. He will test it with real examples of disruptive technologies and why they are or are not adopted. He is planning to survey consumers to understand how emotions and the rational model of “cost versus benefit” work together to influence consumer adoption of innovations. This new model will help marketers and industry understand how to better influence consumers to adopt radically innovative technology, especially technologies that benefit the environment and consumer safety. Gill’s research is supported through a recent Canada Research Chair Tier II renewal.